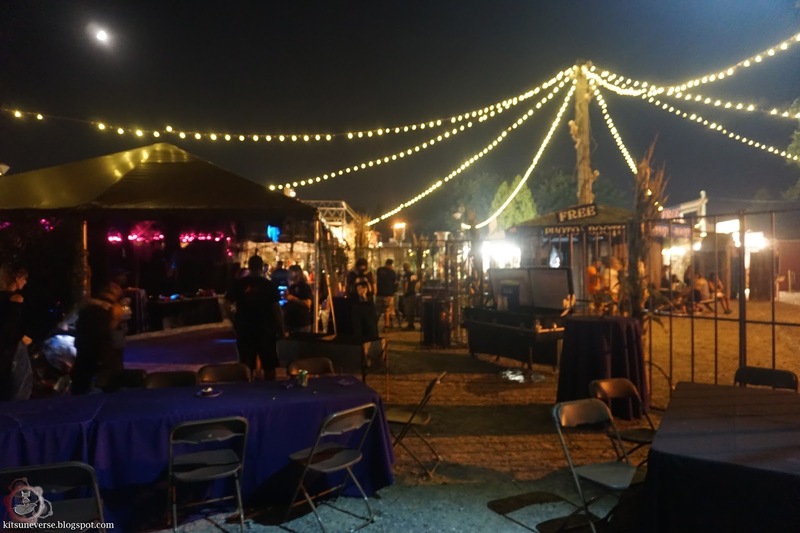 Another of the Haunt Tour week one visits, and this one was during the Field of Screams hospitality and media night. What does that mean? Well, as far as the main show goes, not much was different, as it was a regular night of operation, and we just got a little extra pampering. That said, the quartet of attractions offered is definitely one of the most insane that we've had the pleasure to experience. I don't just say that cause they fed us and gave us cold drinks on a night where it felt like our skin was melting off either, there's a ton of things going on here and so much that's so wrong, but so right that it would be insane to call it any other way. Sure, a couple of things didn't hit the mark fully, but overall? Really have a hard time not having fun here. Recommendation: Definitely worth the trip out there if you're within the Philly area, you won't be disappointed. Likes: Den of Darkness and Frightmare are just amazing and totally in your face, love the actors and how insane it is to get through them. Dislikes: Wish there was less dead space in Nocturnal Wasteland, so much potential that just seems to be wasted. Pro-Tip: The later in the season you go, the more tempting those VIP passes will become, truly can be a life saver. Also, there's a lot of physicality here so be prepared to crawl, climb, and slink through all kinds of tight places! Disclaimer: We did make our visit this year during the Media and Hospitality night, which gave us some pretty cool perks and of course free entry. That, as always, did not influence any of the views or opinions that shape our reviews. So, with all of that out of the way, let's get down to business. First things first, as soon as you enter the complex that houses the four attractions that make up Field of Screams, you'll notice that you're definitely not in Kansas anymore. Not only is it like a total carnival atmosphere with games, live bands, and tons of other chaos, but there's monsters roaming all over the place and they really wanna make friends with you. Nowhere is safe, you're completely fair game everywhere, and that feeling right off the bat is a great way to start the night off. Being that things were a bit slow, and insanely, oppressively hot and humid, we did the obvious thing and started things off with Den of Darkness. At first glance, it doesn't appear that a whole lot has changed here. Everything started off nearly the same way that we remembered from our last visit. Normally that could be a bad thing, but there's just not much improvement needed on something just works. Once inside, the place just oozes the madness (could've been a lot of sweat too) that you come to expect. It's cramped, dark, there's stairs and things that you have to crawl through, over, and under as you make your way through the madness of it all. You really have no idea where you are, what floor you're on, or when you'll escape the endless twisting mess that the deranged creatures that live here call home. Not only that, but there's a ton of detail all over the place, blink and you'll miss a lot of it. One thing I do have to say, the actors in here were totally killing it, especially the ones on the upper floors where it felt like your face could melt off due to the heat. Huge props to them for sticking to it and making this one an awesome experience. Having survived the chaos of Den of Darkness, we took a little break before heading over to the Haunted Hayride. 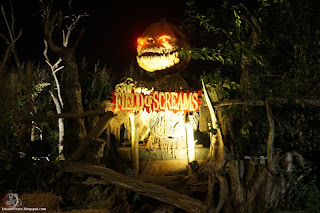 A classic Halloween tradition in it's own right, but Field of Screams takes it to a different level. The last time we were here, things fell a bit flat but this year? Much improved! Throughout your leisurely trip you'll find yourself face to face with psychotic clowns, insane rednecks, chainsaw wielding maniacs, giant spiders, and tons of other madness. 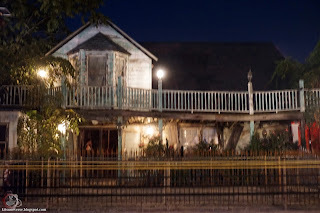 While the anticipation is sometimes killed within the buildings, since you know something is going to happen as soon as those doors on the barns start to close, there's still a lot to like here. A great deal of attention to detail has been put out for everything, and while some scenes are a little on the "meh" side, the whole thing does make for a pretty fun and terrifying trip into the corn. Let's face it, hayrides are tough, and there's tons of ways to go about them. Field of Screams mixes it up quite a bit here and for that, I gotta hand it to them for going the extra mile, even if all of it doesn't quite work. Feeling refreshed still, we weren't up for doing another inside haunt just yet as the night air was proving to be a glorious thing. 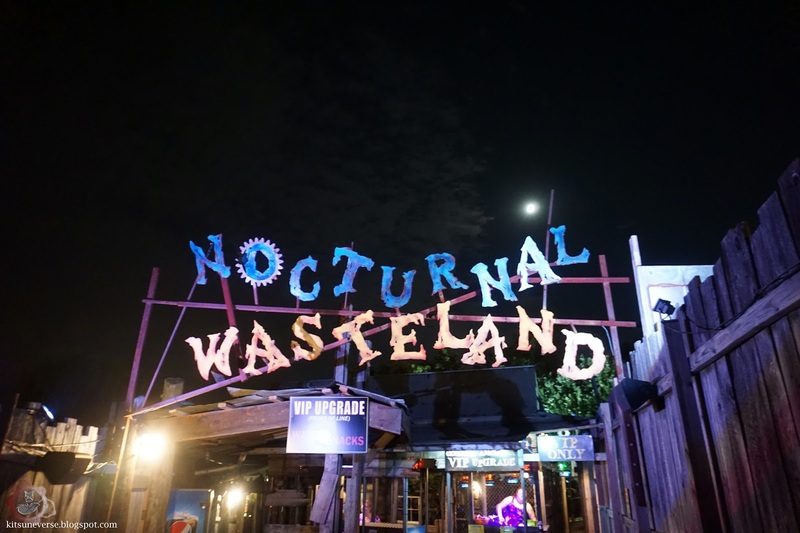 So, we held off on Frightmare Asylum and went straight for Nocturnal Wasteland. 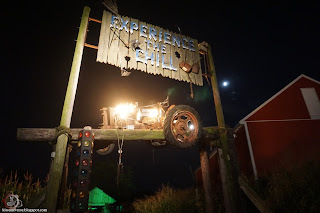 A haunted trail, this one has a HUGE queue line that you have to make your way through with a little fun green screen photo action to be had as well. However, once you've made it through the frighteningly long rat maze, and pass through the ice cream truck of death, you'll find yourself within the strange world that makes up this nightmare. There's a ton of detail here too, and the sets are great as you never really know which direction you're headed no matter how much think you do. Through sewers, school buses (awesome job in here again! ), and a mad dash through cages and other weirdness awaits you as you try and stay alive through it all. There's even a massive tesla coil that's just too weird to even see, let alone get that close to. Be wary though, you may be separated from your group and who knows where you'll end up. The interaction from the cast here is also right up there with Den of Darkness, you'll really get some insane back and forths if you let yourself fall into the fun of it all and I gotta hand it to the crew on that. It's not easy to do and we loved every moment of it. However, considering how big this is, and no matter how great the actors are doing their jobs, it feels empty in a lot of places. There's just not enough happening and when you do run into someone, it's just one creature or monster for long stretches. It really just kills me, I want to like this so much more and there's some killer elements going on in here but with so much dead space? It feels like wasted potential. 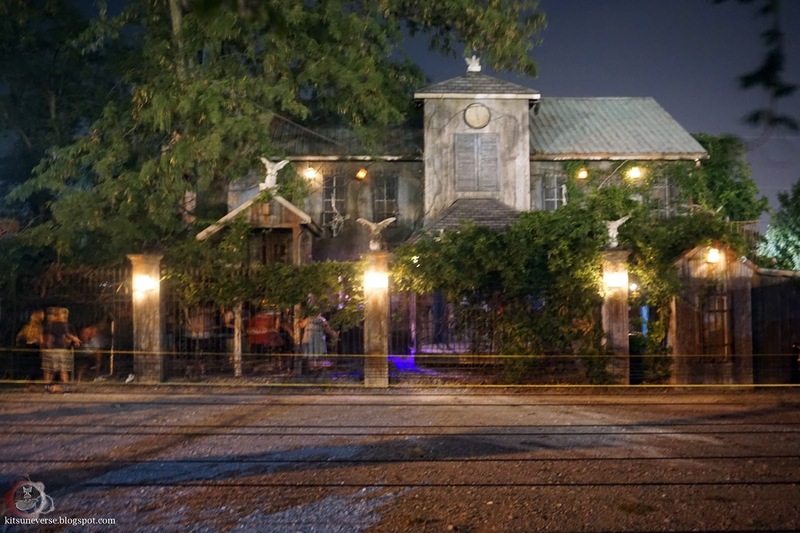 So, that leaves us with one last attraction to hit, Frightmare Asylum. Ah, the criminaly insane and those who treat them. Which one is which is anyone's guess as you enter the Applegate Asylum. Soon you won't just be questioning of the sanity of those who call this once proud establishment home either, you'll be wondering why you even decided to join them. As with Den of Darkness, you'll never be able to figure out just which way you're headed or why you keep going up flights of stairs and seemingly never going back down. It can't be that big, can it? So much to say on this one, it's a glorious trip into the world of the weird world of the terrifyingly insane and again, it's jam packed with interaction and scares from all over the place. So much fun just bantering back and forth with the denizens here that you almost forget it's not real at times. Not only that, but there's really a lot of great design and other facets that make this one truly come alive. I won't spoil too much, you'll just have to go and see it for yourself. 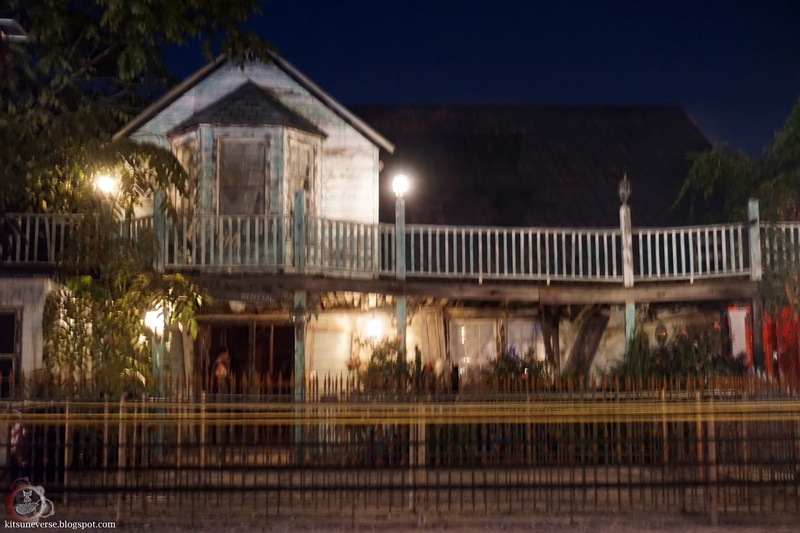 There's a ton of good stuff happening at Field of Screams, but like the last time, there are some problems that definitely need to be overcome. I don't doubt that the crew will get some of it sorted, but a few things might just be too hard to get past. So, the final verdict on things is that it falls squarely into the Really Damn Good category of things. A few reasons for that, the hayride doesn't provide the umph that it should in all areas, Nocturnal Wasteland is still suffering from emptiness problems, and not a ton has changed in the two years between our visits. Yes, there have been some, but I'd say that almost everything was extremely similar or the same as last time. Time for some major shake ups, no matter how good Frightmare and Den are, needs to be kept fresh. 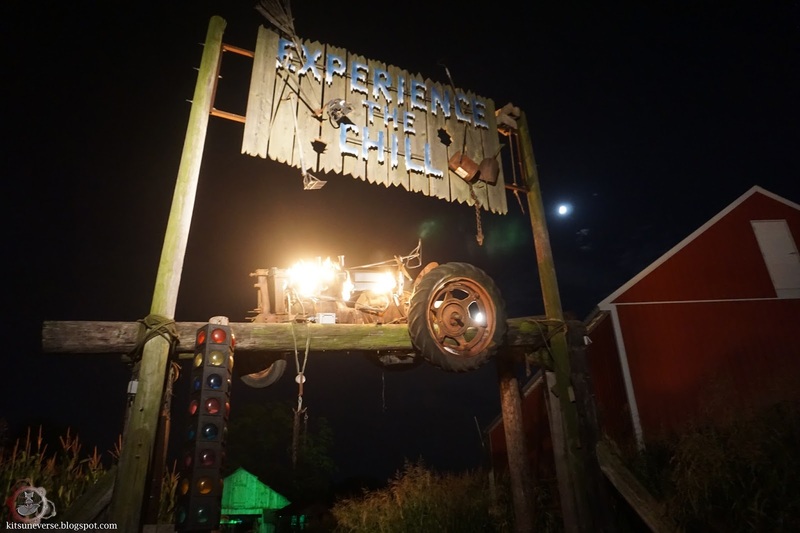 Given that the hayride has improved on some levels, we felt that bumping up from our last visit was warranted as well. 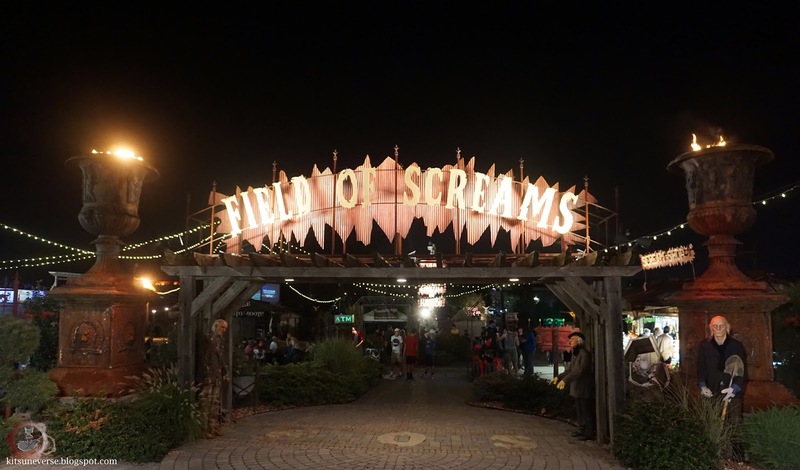 And there ya have it, our take on everything Field of Screams for 2016. Definitely one to keep an eye on and if you're in the area? Worth checking them out because you'll have a great time. For more information, tickets, directions and hours, check out the official Field of Screams website for all that and more!